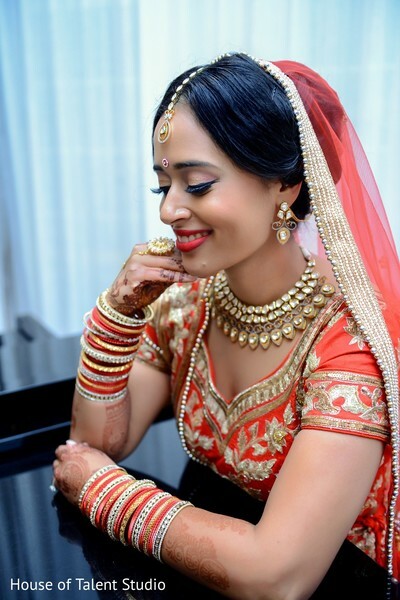 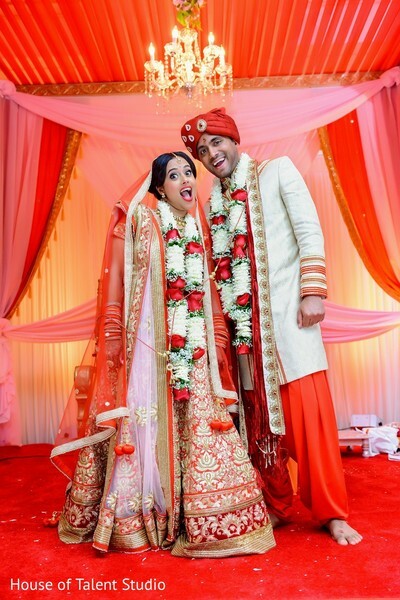 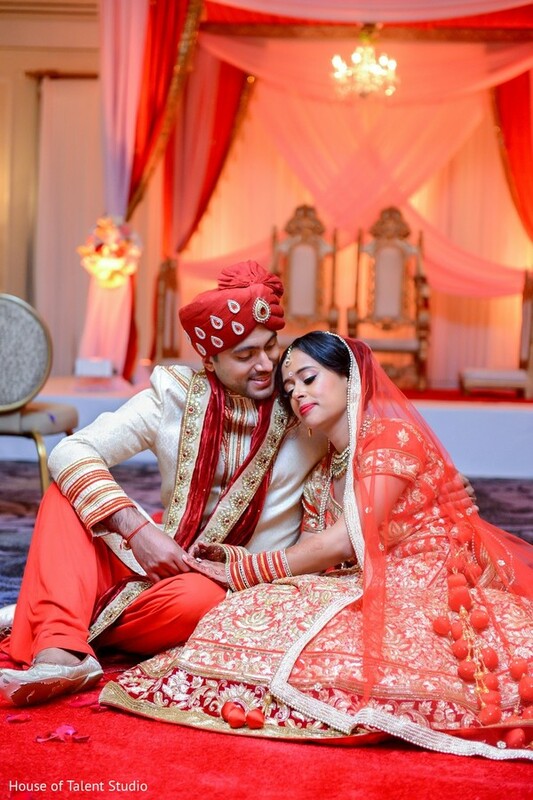 Talented mehndi artist, Mehndikalogie, recently introduced us to one of their blushing Indian brides, and we just had to share her incredible wedding highlights, photographed by House of Talent Studio, with you! 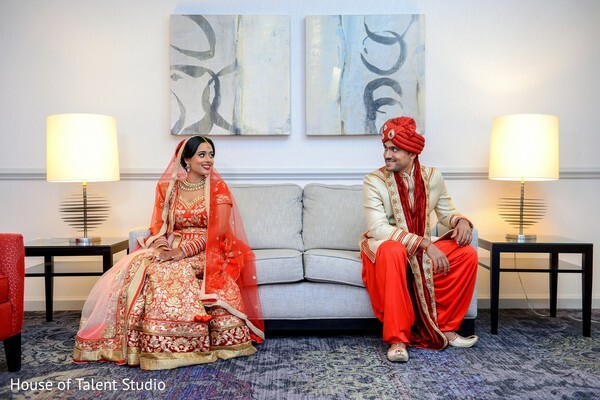 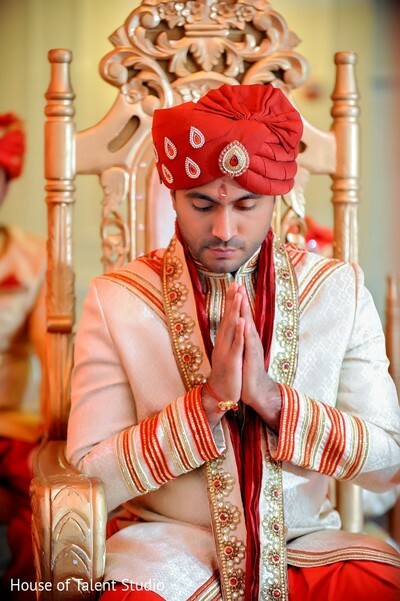 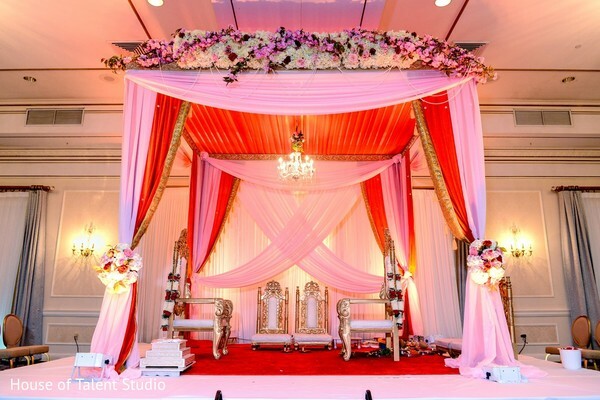 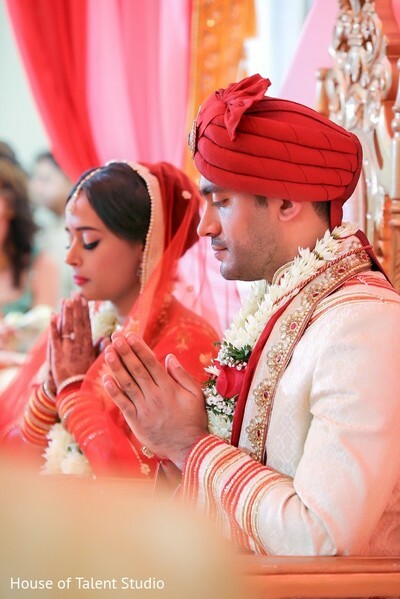 Ring to Aisle Events planned a flawless affair at the Hilton Pearl River for Maharani Shivani, and the Raja of her dreams, Sunny, and this first collection of portraits and details will wow you to pieces! 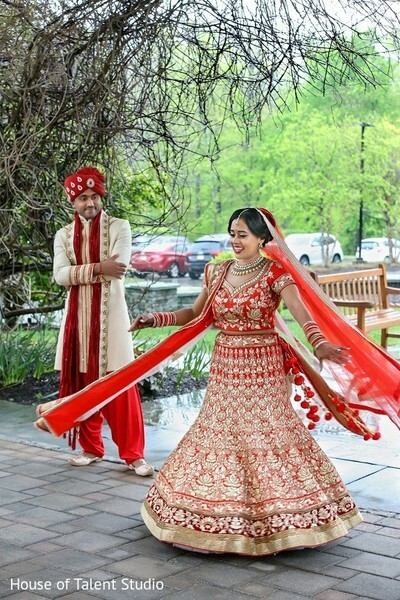 Shivani wore a stunning red and gold bridal lengha and called on the incredible skills of hair and makeup artist Sonia C to make sure she delivered picture perfect style for her and Sunny's first look and ceremony. 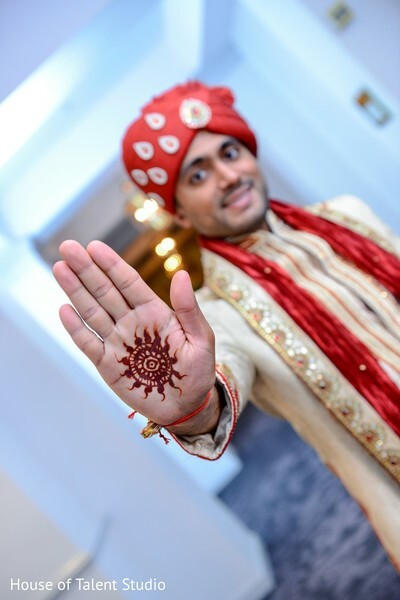 Rangoli Weddings brought in a plethora of decor details that set the luxurious tone for the extraordinary event, and when we get back, you'll see even more of their amazing work when we dive into the newylweds' reception — which featured a fine feast of catered foods by Moghul Caterers! 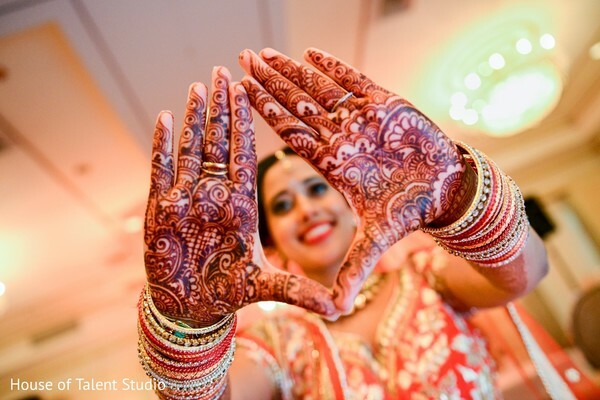 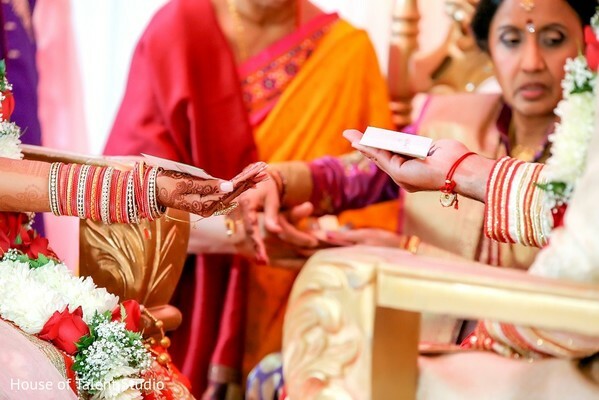 While you're waiting on those post-ceremony highlights, head into the complete gallery for all the first look and ceremony moments you can handle — and while you're in there, check out the breathtaking close-up of Shivani's mehndi art by Mehndikalogie! 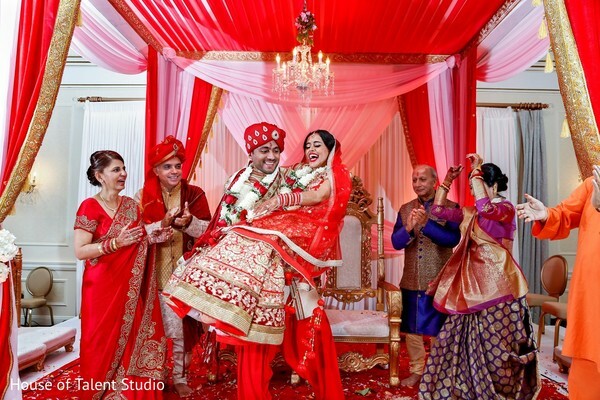 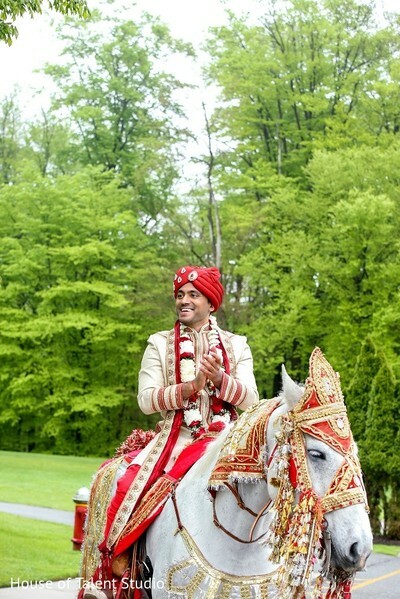 Join me later today for magical moments when we unveil highlights from Shivani and Sunny's reception!